Fresh out of college and looking for work, Bridgette Fitzgerald landed a marketing position at Barnette’s Engines in Chesapeake, VA. She was young and inexperienced with the engine industry, but figured it would be a good stepping stone to another job. Ten years quickly passed and Fitzgerald is now the shop foreman of Barnette’s Engines and knows more about engine work than most. She keeps the 8,000-sq.-ft., 9-employee remanufacturing shop moving along like a well-oiled machine. Barnette’s Engines’ owner is William ‘Danny’ Barnette, who got started in the engine building industry back in 1970. His father was a machinist and Danny was gladly sucked into the world of engines. In 1992, he retired from working at an engine shop in order to open his own. Barnette’s will rebuild automotive engines, small diesel engines, marine engines, and industrial engines for forklifts. The shop is a full machine shop capable of doing everything in-house, and those responsibilities fall to Bridgette Fitzgerald. Fitzgerald has been in the position for six of her 10 years at Barnette’s and got there without formal training – it was simply hard work and a lot of hands-on experience. 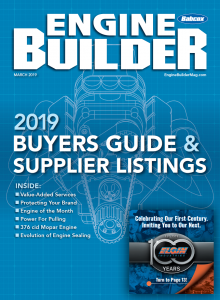 It’s no secret that this industry is male dominated, but Fitzgerald is happy to help buck the trend and loves everything about rebuilding engines. 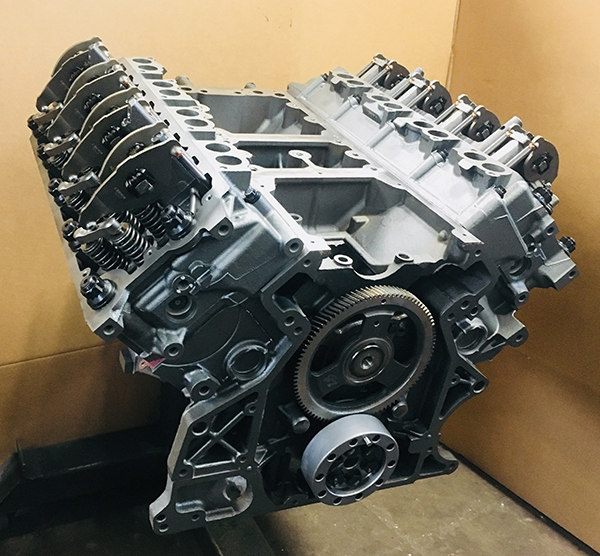 Barnette’s Engines does a majority of its engine work on Ford 5.4L, 6.0L, 6.4L and 6.7L diesels, GM 5.3L and 6.2L engines, as well as motors that other manufacturers won’t rebuild such as Saturns, Honda Vtechs, Hyundai, and Kia motors. 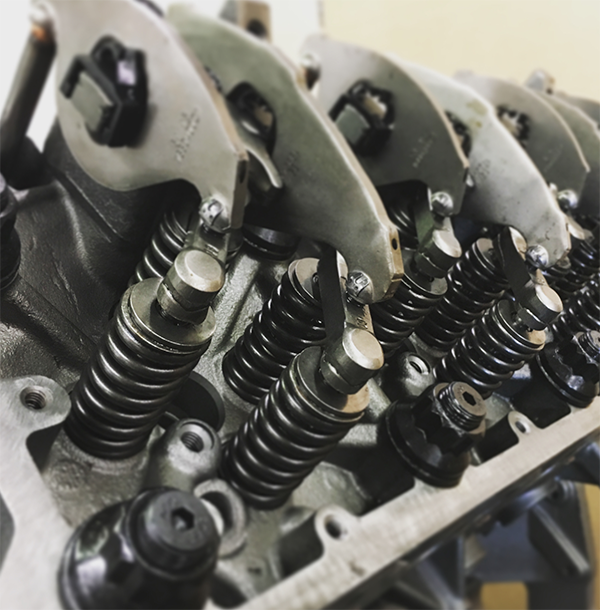 Barnettes Engines’ Kevin Csomay will replace the valve seats in the 6.4L diesel and use a Serdi seat and guide machine to do the guide work on the heads. He’ll resurface the heads using a Rottler SF7 resurfacer. The heads are then sealed back up with new valve seals and springs. While the shop works on a wide array of engines, the one that has the most demand is the Ford 6.4L diesel. The shop starts off with a core motor – either one of the core motors kept in stock or the customer’s core. 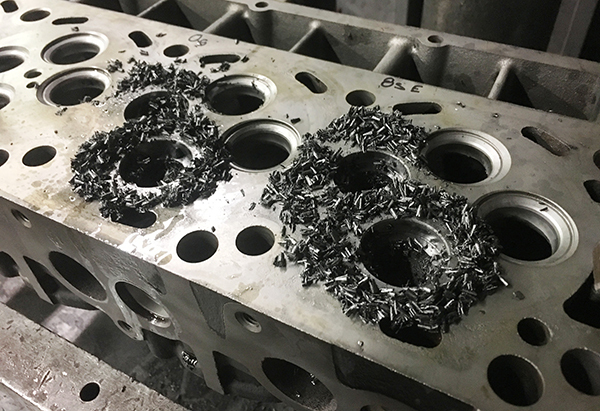 After cleaning it, the shop will test the block, the crank and the cylinder heads for any kind of a surface cracks or internal cracks. Besides issues with the 6.4L cores, Fitzgerald says they also have issues with micro cracks in the cylinder heads. 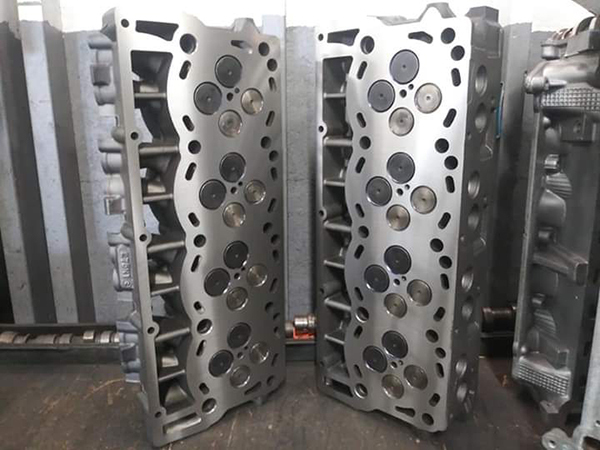 The shop’s machinists, specifically Kevin Csomay, will replace the valve seats in the 6.4L diesel and use a Serdi seat and guide machine to do the guide work on the cylinder heads. 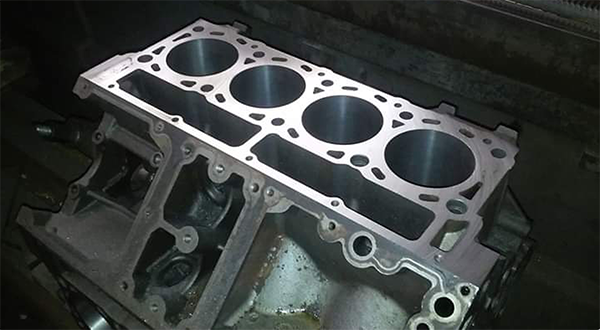 He’ll resurface the cylinder heads to a mirror-like finish using a Rottler SF7 resurfacer. The heads are then sealed back up with new valve seals and springs and the cylinder head portion is basically done minus painting and priming. 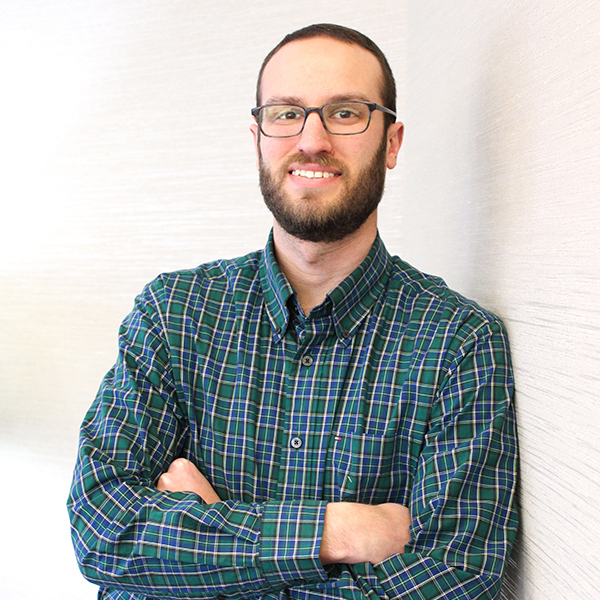 “We’ll then turn our attention to the block and bore and hone the block using a Rottler HP6 hone and a Rottler F2 boring machine,” Fitzgerald says. “If one of the cylinders won’t clean up we will also sleeve the block if it requires sleeves. We’ll check the deck surface of the block and deck the block. The shop will also use a close eye on the 6.4L diesel crankshaft, making sure to polish and turn the crankshaft to whatever size is needed due to wear on the crank using a Winona Van Norman. This is also the time the shop will check the connecting rods. “Once we’ve got all the parts and components machined and ready to go, then we’re ready for assembly,” she says. “We use both OEM and Aftermarket parts on the build. 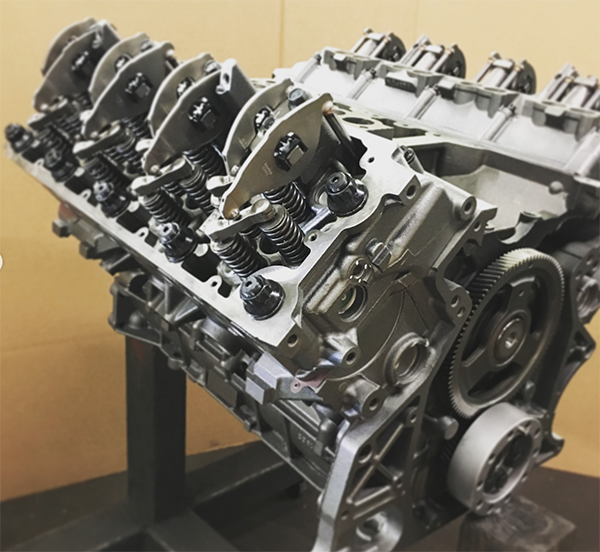 On the 6.4L diesels, we use an OEM oil pump, OEM main bearings for the crankshaft, and we use OEM parts in the valve train. That’s all OEM Ford. 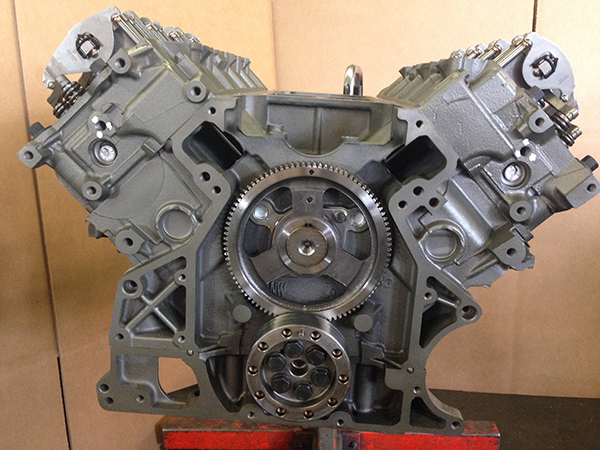 With all of the wear and rust cleaned up, the engine machined back to like-new condition and the new parts assembled in the engine, the Ford 6.4L diesel gets painted and primed and sent back out the door as a remanufactured engine with a clean bill of health. On to the next one!